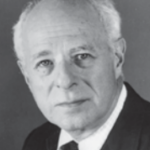 Norman Podhoretz served as editor-in-chief of Commentary magazine from 1960-1995. He was a Pulitzer Scholar at Columbia University, earning his bachelor of arts degree in 1950. He also holds bachelor’s and master’s degrees from Cambridge University, England, where he was a Fulbright Scholar and a Kellett Fellow. In addition, he has a bachelor’s degree in Hebrew Literature from the Jewish Theological Seminary. He has written for most major American periodicals and is the author of twelve books, including My Love Affair With America and Why Are Jews Liberals? Thirdly, in all other nations, the rights, if any, enjoyed by their citizens were conferred by human agencies: kings and princes and occasionally parliaments. As such, these rights amounted to privileges that could be revoked at will by the same human agencies. In America, by contrast, the citizen’s rights were declared from the beginning to have come from God and to be “inalienable”—that is, immune to legitimate revocation. As time went on, other characteristics that were unique to America gradually manifested themselves. For instance, in the 20th century, social scientists began speculating as to why America was the only country in the developed world where socialism had failed to take root. As it happens, I myself first came upon the term “American exceptionalism” not in Alexis de Tocqueville’s Democracy in America, where it has mistakenly been thought to have originated, but in a book by the sociologist Seymour Martin Lipset, who used it in connection with the absence in America of a strong socialist party. More recently I have discovered that the term may actually have originated with Joseph Stalin, of all people, who coined the term in the same connection but only in order to dismiss it. Thus, when an American Communist leader informed him that American workers had no intention of playing the role Marx had assigned to the worldwide proletariat as the vanguard of the coming socialist revolution, Stalin reputedly shouted something like, “Away with this heresy of American exceptionalism!” And yet Stalin and his followers were themselves exceptional in denying that America was exceptional in the plainly observable ways I have mentioned. If, however, almost everyone agreed that America was different, there was a great deal of disagreement over whether its exceptionalism made it into a force for good or a force for evil. This too went back to the beginning, when the denigrators outnumbered the enthusiasts. In the foreigner’s range of observation, love of money was the most conspicuous and most common trait of the American character . . . . No foreigner of that day—neither poet, painter, or philosopher—could detect in American life anything higher than vulgarity . . . . Englishmen especially indulged in unbounded invective against the sordid character of American society . . . . Contemporary critics could see neither generosity, economy, honor, nor ideas of any kind in the American breast. In his younger days, Adams defended America against these foreign critics; but in later life, snobbishly recoiling from the changes wrought by rapid industrialization following the Civil War, he would hurl the same charge at the America of the so-called Gilded Age. The main reason for the enduring power of the cultural critique was its fervent embrace, beginning in the late 19th century, by the vast majority of the writers, artists, and intellectuals who followed Tocqueville. And so it still goes in 2012, when the putative materialism and crassness of American life are harped upon in movies, television shows, novels, volumes of social criticism, and op-ed pieces too numerous to count. Like Tocqueville and the foreigners cited by Henry Adams, moreover, these more recent works attribute this crassly philistine attitude to the love of money and “the exclusively commercial habits” that went with it—in other words, to the species of freedom that has done more than anything else ever invented to lift masses of people out of poverty and that would later be known as capitalism. America, these critics were declaring, was exceptional all right—exceptionally bad, or even downright evil. On the other hand, there have always been defenders of American exceptionalism as a vital force for good. Thus, several decades before switching sides, Henry Adams charged America’s foreign critics with blindness to the country’s amazing virtues. Whereas, Adams wrote, European philosophers and poets could see only rapacity and vulgarity here, the poorest European peasants could discern that “the hard, practical money-getting American democrat was in truth living in a world of dream” and was “already guiding Nature with a kinder and wiser hand than had ever yet been felt in human history.” It was this dream, Adams went on to say, that beckoned to the poor of the old world, calling upon them to come and share in the limitless opportunities it offered—opportunities unimaginable anywhere else. For a long time now, to speak personally, I have taken my stand with the young Adams, to whom America was exceptionally good, against his embittered older self, to whom it had become exceptionally bad. In my own younger days, I was on the Left, and from the utopian vantage point to which leftism invariably transports its adherents, it was the flaws in American society—the radical 1960s trinity of war, racism, and poverty—that stood out most vividly. It rarely occurred to me or my fellow leftists to ask a simple question: Compared to what is America so bad? From our modern perspective, much more was wrong with Periclean Athens, or the Italy of the Medicis, or England under the first Queen Elizabeth, or 19th-century Russia under the Romanovs. But this has not disqualified them from being universally ranked among the highest points of human civilization and achievement. After more than 40 years of pondering the question “Compared to what?” I have come to believe with all my heart that the United States belongs on that exalted list. It is true that we have not earned a place on it, as the others mainly did, by our contribution to the arts. Yet it is worth pointing out that even in the sphere of the arts, we have not done too badly. To speak only of literature, names like Walt Whitman, Mark Twain, Edith Wharton, Robert Frost, and many others attest that we have, in fact, done far better than might generally have been expected of a nation conceived primarily to achieve other ends. These ends were social, political, and economic, and it is in them that we have indeed excelled the most. We have excelled by following our Founding Fathers in directing our energies, as our Constitution exhorts us to do, to the preservation of the blessings of liberty to ourselves and our posterity, as well as to the pursuit of happiness tacitly understood by the Declaration of Independence to require prosperity as a precondition. (In his original draft of the Declaration, of course, Jefferson used the word “property” instead of “pursuit of happiness.”) By remaining faithful in principle—and to a considerable extent in practice—to the ideas by which the Founders hoped to accomplish these ends, we and our forebears have fashioned a country in which more liberty and more prosperity are more widely shared than among any other people in human history. Yes, even today that holds true, despite policies unfaithful both to the letter and to the spirit of the traditional American system that have resulted in a series of political and economic setbacks.